Alice discusses how a specialist can help you manage your migraines, provide next steps for treatment, tips on how to avoid migraine triggers, and minimize migraine attacks. 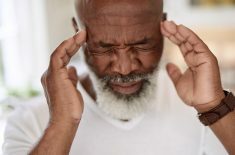 I have been suffering from migraines since about the age of 11, which is over half of my life, and I have been to the doctors numerous times to try and figure things out. I feel like now I’ve come to a good arrangement and found a solution that helps me. I recommend going to see your doctor and talking to them about the symptoms that you’ve been experiencing from your migraines. A lot of the time migraines can develop into something a lot more. Migraines start off weak but get worse over time. 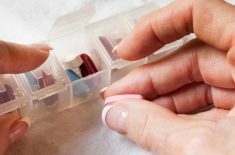 Usually, over-the-counter medicines don’t touch the surface of them, so you’ll probably need something a bit stronger. My doctor tried me on a different range of migraine medicines. I used to be very closed-minded and think that if one of them wasn’t going to work for me, then none of them were. To be honest, now I have found the perfect combination. I went through different ranges of medications. From preventative medicines to injections to nose sprays to dissolvable things – so many different options are available. I finally have settled on one that really helps me and I combine that with a regular painkiller, and it’s been working great so far. Honestly, doctors are amazing at helping you and there are so many different remedies and things that the internet probably hasn’t recommended to you that a doctor can. Searching on the internet tends to get you in a little bit of an awkward circle, so definitely think about walking in and going to see a specialist. If you can find someone that specializes in migraines – like a neurologist – you’ll get a lot more tailored help and follow you through your progress, and then find a solution quicker. I know from experience that doctors usually ask you to keep a food diary because they’ll want to rule out whether certain foods trigger your migraines. If there is a pattern with you eating a particular food and you get a migraine, then that can help them pinpoint what the issue is, and try and fix it. Alongside that and the medication, hopefully, you’ll be able to work out a good balance, and seeing a specialist will help you out. How long do migraines last? Migraines can last from 4 to 72 hours, depending on the severity of the headache. Learn how to deal with a migraine attack here. 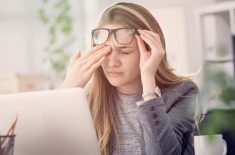 A migraine episode is tough to deal with anytime you will experience it, but can be even harder if you experience a migraine at work.